Up to six hours of hot or cold drinks for any weather on race day. BPA-free, double-wall, vacuum-insulated with stainless steel shell and liner Keeps beverages hot or cold for up to six hours Spill-resistant lid has rubber gasket and thumb-slide closure FDA compliant Hand wash recommended Do not microwave Holds 20 oz. Laser Engraving Black GENUINE SUBARU!!! 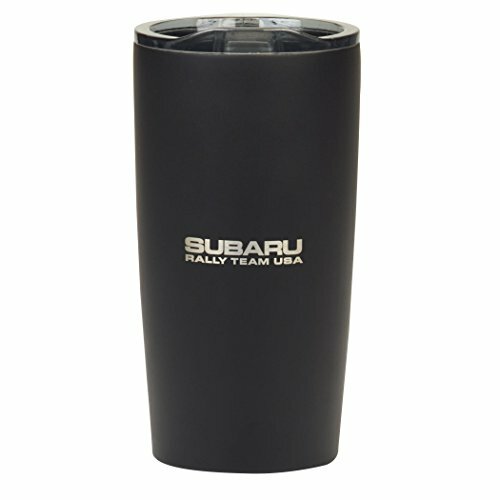 Please check our other items for more hats and mugs, shirts sweatshirts or hundreds of genuine subaru parts. New in box!!!!! Up to six hours of hot or cold drinks for any weather on race day. If you have any questions about this product by Subaru Gear, contact us by completing and submitting the form below. If you are looking for a specif part number, please include it with your message.